Kumaoni, Garhwali, Hindi, Jaunsari and Bhotiya by the tribals. 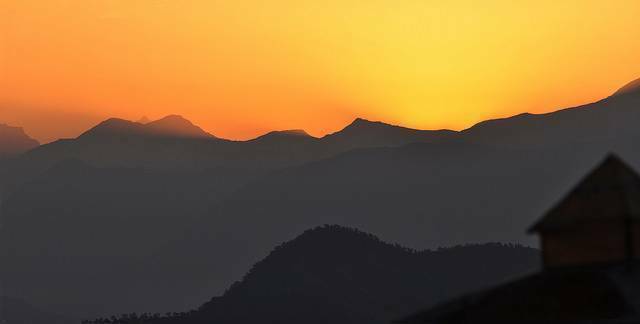 Chaukori is small town in Pithoragarh district and is set amongst the lofty Himalayas. One can enjoy the panoramic view of Nanda Devi, Nanda Kot, Trishula and Panchacholi from this place. Chaukori is an untouched beauty so can offer serene surroundings for one to unwind. Visit Gangolihat which is just 35 Km from Chaukori and has plenty of temples to explore. The most famous are the Hat Kalika temple, Patal Bhuvaneshwara temple and Mostamanau temple. Visit Berinag which is a perfect spot to view the Himalayas specially Nanda Devi and Panchacholi. Chaukori has river Mahakali flowing by and also has a famous religious centre Gangolighat about 35 kms away with the revered Hat Kalika temple, Mahakali temple situated there.